The main event of the World Budo Karate Association. 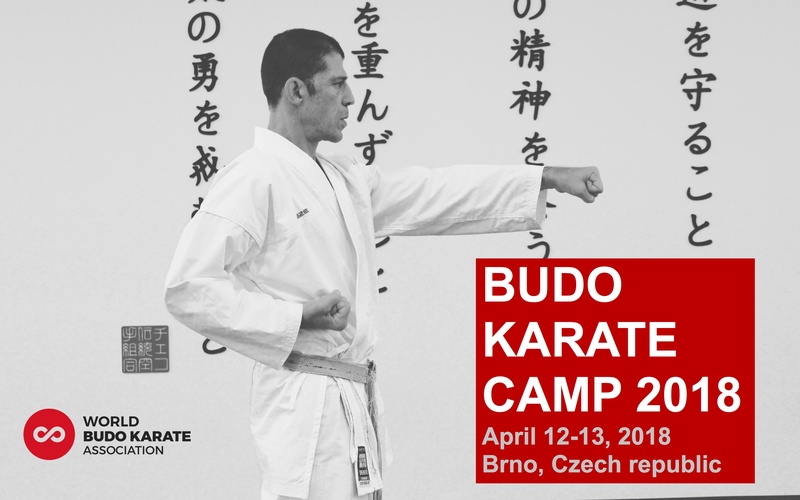 The BUDO Karate camp for instructors will hold April 12-13, 2018 in Brno, Czech republic. Do not miss it! This camp will be conducted by BUDO karate technical director Avi Rokah sensei. Minimum requirement for participants is 3rd DAN. Join very intensive karate classes, share experiences with high level instructors from different parts of the world. We have limited space at the dojo, therefore register as soon as possible. Just after BUDO karate camp you can stay for next two days and join the national seminar in Bystrice pod Hostynem (Czech republic) conducted by Avi Rokah sensei. Seminar will be 14th – 15th April (morning and afternoon classes). Free of charge for all BUDO Karate camp instructors. We will manage for you transportation from Brno to Bystrice pod Hostynem (We leave Brno on Saturday morning after breakfest).